Is your Love Feast spotted? The feasts of Love (Agape) were held when food was in short supply in the community and richer members would bring food and drink to the church. Following a service and communion everyone would gather together for a potluck dinner of sorts in the name and character of Jesus, by showing love to one another through their provisions. It sounds very much like what occurs in our churches today, although today they are more for fellowship than providing food, the theory behind it is the same… we want people to know we care. Jude wasn’t so much concerned about the dinner as he was with the shenanigans going on with the creeps in the church who used this blessed event to further false teaching. A meal that was meant to refresh poor saints had been turned into a social event where, rather than feeding the poor, Judaizing Christians were observing them in imitation of the Passover, excluding the poor and inviting unseemly guests into the church to take communion thus corrupting the works of God. It was no longer about seeing souls saved but once again was running the risk of turning into dead religion. At a recent church training for disciple making, Dr. Sebby Volpe asked the simple question, “When is the last time you’ve invited a member of the church to dinner (outside your normal click)?” It’s an occurrence of days gone by that church fellowship extends past the noon hour on Sunday. We get into the grooves of life and it takes a bill of congress to get us out. Church dinners are an excellent opportunity to fellowship as a whole, but they run the risk of just being an opportunity to nourish the body and not the soul, which was the original church’s intent. We provide a turkey or two to poor families in the community at Christmas and think we’ve done our good deed for the year, after all the season of giving is over. Good grief! That is so true. We leave the feeding of the poor to local agencies (that are mostly non church related) while the church sits idle and the name of Jesus unglorified. January, February and March are hard months. Many families have overspent (which is wrong, but reality), and other didn’t have the option of spending at all and food is now in short supply. Most of us cannot identify and we assume the Department of Human Services (Welfare) takes care of the underprivileged which is far from the truth; there is nothing well or fair about it. Many don’t qualify or are too proud to ask. Before the days of the Welfare Department it was the church who took care of the widows and the children who lacked the necessities of life, for which they earned the right to be called Christian (meaning Christ like). A missionary friend to Tanzania illustrated this to me in a great way yesterday. He had been visiting a person at the hospital and it was time to go. He told them he’d be back, but as a college student he had other obligations. On his way back to school he found 2000 Tanzania shiling, the equivalency of one U.S. dollar. He could have used that dollar for himself, but instead he buys 20 bananas and takes them back to the hospital to share with the patients… That’s Jesus’ love feast at its finest. Another day of being parked in the book of Jude that God uses His word to illustrate modern life. Christmas is over, the need is not. What can we do today to lend a hand and let someone see Jesus? 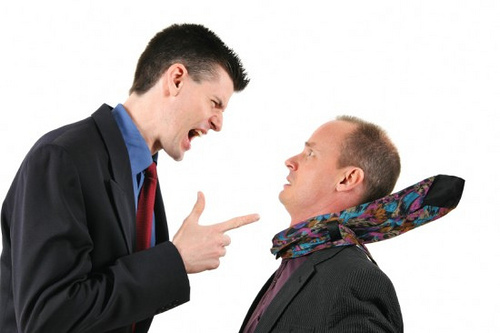 Yesterday’s blog was on strife in the church due to debating the sin of homosexuality. The sin was as much in the debate as the act, for it took the message away from the life and death of Jesus Christ and put it onto the depravity of man, which is why Jesus came – to save them. A debate is only healthy so long as it points back to the cross and not on to the opinions of man which is where we go astray. There are always two sides to a debate, and if a public forum is taken you never know how many people you’ve allowed to be swayed by the other argument. That thought just ran a shiver down my spine, because there is always much debate. There are always those who think their way is better than God’s way, but when the matter is searched out there is always an underlying reason, a reward that they believe will be greater than the grace of God. For Cain, his Brother Abel’s obedience with an acceptable sacrifice made him look bad, so “Let’s just get rid of the brother, then I’ll be the favorite…problem solved.” No, the problems had only begun. Now Cain was exiled from family and friends. Judgment came, it always does. There’s always an easier sacrifice in the church, but never a better one than the one God requested. Balaam’s greed caused him to go against God’s original Word. God’s first answer is His final answer. We need not take the same question back to the Lord when it was answered the first time in hopes of a different answer; nor do we need to “check it out” a little further. What that does is put you closer to rebellion and further away from God. Something King David noted of his own life in Psalm 73:1-3 ~ Truly God is good to Israel, even to such as are of a clean heart. But as for me, my feet were almost gone; my steps had well nigh slipped. For I was envious at the foolish, when I saw the prosperity of the wicked. Korah’s rebellion against God in trying to attract Israel away from the leadership of Moses left him being swallowed up in death by the ground. God takes serious those who He has put into positions of authority. He has given them the anointed ability to lead His people and a rebellion against that will be costly. Those are three very real issues in the church today in the spoiled nation of America. We want God’s blessing but without sacrifice. We want God’s advice, so long as it’s beneficial and we want church leaders, so long as they don’t actually have expectations that we should live right. Whew! That’ll preach! and Preachers, if you’re inclined to use it in your sermon this morning feel free to blame me. But I figure if you’re gutsy enough to preach it, you’ve got shoulders broad enough to bear the load of your congregations. It appears that Jude was quite the meddler in church affairs, but he learned from the best – his Brother and Lord! God’s given us the Word, it’s up to us to follow it through. It’s not about Homosexuality, Really. Much debate has been made concerning Phil Robertson and his statements regarding the sin of homosexuality. It’s brought up some great conversations, and some that were not so great. It’s given a platform for both sides of the debate, which for the record – God’s not in the debate; His Word is law. So as I continued on in my study of the Book of Jude it was obvious to my heart that God had parked me in this spot for a reason in this season. A few days ago the Phil Robertson conversation occurred in my presence. And being the “Jesus Chick” there was an expectation by some that I should have all the answers. Well let’s just shoot that theory out of the water right now, I don’t have all the answers… but I know where they are. I cannot stand flat footed and quote you one hundred passages of scripture, but I can read you a scripture and then through the Holy Spirit expound on it what I believe it to mean. That’s a gift afforded to anyone who diligently reads and studies the Bible. God said he would make that available to us in James 1:5 ~ If any of you lack wisdom, let him ask of God, that giveth to all men liberally, and upbraideth not; and it shall be given him. And so when asked the question “Does it really say in the Bible homosexuality is wrong?” I could confidently say yes. Now where? Well, a few second word search on my Bible app lead me to the correct passages in Leviticus 18:22 – Thou shalt not lie with mankind, as with womankind: it is abomination. And Romans 1:27 – And likewise also the men, leaving the natural use of the woman, burned in their lust one toward another; men with men working that which is unseemly, and receiving in themselves that recompence of their error which was meet. Phil Robertson didn’t make it up… it’s in there. But this blog is not about homosexuality, this blog is about creeps in the church. Who, rather than have you understand the truth of the glorious gospel, that Jesus will save anyone, would rather keep strife and contention stirred up between believers and nonbelievers so that the message of Christ gets lost in the battle. Be not deceived, saved people sin; every one of us. That’s not up for debate either. 1st John 1:8 ~ If we say that we have no sin, we deceive ourselves, and the truth is not in us. The difference is in what you believe. I believe that the Holy Bible is the inerrant Word of God, and that everything from cover to cover including punctuation is true and with purpose, I am not saved because I’m perfect, I’m saved because God is perfect and He died so that I could have forgiveness of my sins. To be saved, you must believe that God makes no mistake, and when we sin we must turn away from it, not embrace it. So back to the creeps in the church. Read Jude verse 4-9 and what you’ll discover is from the beginning of the church there were the great debaters. And one of the very things they were debating was homosexuality. Sodom and Gomorrha. This is not a new battle. But it is one that gets our eyes off Jesus. For there are certain men crept in unawares, who were before of old ordained to this condemnation, ungodly men, turning the grace of our God into lasciviousness, and denying the only Lord God, and our Lord Jesus Christ. I will therefore put you in remembrance, though ye once knew this, how that the Lord, having saved the people out of the land of Egypt, afterward destroyed them that believed not. And the angels which kept not their first estate, but left their own habitation, he hath reserved in everlasting chains under darkness unto the judgment of the great day. Even as Sodom and Gomorrha, and the cities about them in like manner, giving themselves over to fornication, and going after strange flesh, are set forth for an example, suffering the vengeance of eternal fire. Likewise also these filthy dreamers defile the flesh, despise dominion, and speak evil of dignities. Yet Michael the archangel, when contending with the devil he disputed about the body of Moses, durst not bring against him a railing accusation, but said, The Lord rebuke thee. Read the Word, Study the Word, Believe the Word. Leave the debating to someone else. I want to be a Contender! As I get ready to embark on 2014 it is going to be a New Year in a great many ways I hope. I always love the New Year, a clean sheet of paper in a new notebook mentality where anything is possible! At years end I always desire to be, though I seldom feel that I am, closer to the Lord and more determined to live out His will for my life. I desire to not only read His Word, but to Study to shew thyself approved unto God, a workman that needeth not to be ashamed, rightly dividing the word of truth. (2 Timothy 2:15). God has so generously given me this platform, I really don’t desire to fall off of it, I’ll graciously step down should that be His will. A platform is not meant to be viewed as a pedestal, but more so an individual given the opportunity to elevate Christ. I should never be “lifted up” but rather I should be lifting up Christ. Some have that wrong. Jude had it right. Jude 1-3~ Jude, the servant of Jesus Christ, and brother of James, to them that are sanctified by God the Father, and preserved in Jesus Christ, and called: Mercy unto you, and peace, and love, be multiplied. Beloved, when I gave all diligence to write unto you of the common salvation, it was needful for me to write unto you, and exhort you that ye should earnestly contend for the faith which was once delivered unto the saints. Jude, not only a servant of Christ, although he held that in the highest esteem, and a brother to James (showing piety to family), but he too was a brother to Christ. He grew up in the same house with the same Momma and no doubt grew up witnessing his Brother’s miracles first hand. I have to wonder if at times there wouldn’t have been contention between them seeing that Mary worshipped Jesus, knowing Who He was. What must His brothers have thought? Or maybe they too knew in their hearts very young that Jesus was not just an ordinary child, we’re not given that insight, only speculation which can be wrong, and so I digress. But here in this place we find Jude all grown up. There is no animosity toward his Brother, only reverence. Just as those of us who are saved and redeemed by the blood of Jesus have been; each of us are called to a purpose. Contrary to popular belief you were not called to take up space in a pew. Sunday morning from 11 a.m. to 12 noon is not service, it’s worship; or it should be. And you should be desirous of that time for all Christ does for you the rest of the week. The service to which you are called is the rest of the week, on the job or in the home, on vacation or on the internet you are called to be a servant of Jesus Christ as was Jude. What you’re doing should in some way be pointing back to Him and lived out in humility. Jude was proud of his family, he loved his career, but He served Christ. He desired mercy, peace and love for his brothers and sisters in Christ for which he considered them an equal (common salvation). Every one of us get saved in the same manner. We may have traveled a different path to get there but the final journey to salvation is the same. We admit we’re a sinner and deserve Hell, we believe He was born of a virgin and died upon the cross to pay for our sins, and we confess He is Lord and the only worthy sacrifice. It is at that point, with Him living in us, that our servant’s heart should be concerned for our brothers and sisters wellbeing, praying mercy, peace and love be multiplied. Are you praying for your fellow servants? I didn’t watch the movie “On the Waterfront” but most of us know Marlon Brando’s quote “I could have been a contender…” and we even know the manner of which he said it. Jude was a contender and so he advises us to be as well. It’s going to be a fight, we know this from past experience. Any time we step out and make a decision I’m going to do more for the Lord, Satan counterattacks, it’s a given. I don’t want to say “I could have been a contender in 2014.” I want to be a contender for the faith, I want to do more! Will you join me? Please begin by praying for this ministry, that the Lord open doors and I go through only those He opens. Thank you! in advance. The saved and unsaved alike have no problem celebrating the birth of Jesus. There are those who complain and gripe that Christians have the audacity to celebrate their own holyday, but I doubt they mind the occasional bargain that comes with the season. But this morning the glitter has now fallen to the floor, the tree is slightly disheveled, mistletoe’s been exchanged for a “good morning dear” and the chatter of Jesus is left to religious fanatics (like me). Life goes back to normal. Except for those of us who are abnormal. I can’t get the day after thought off my mind. What if Jesus had returned on Christmas day, and this was the day after. What if while we slept Jesus came back unaware and the unsaved got up this morning to an empty house because they’re spouse and children were called home to be with Jesus. “What an awful thought!” you say? Awful as it is, it is reality. The Phil Robertson naysayers could debate his statements all they wanted with little argument and the Anti-Christ Lawyers Union (the ACLU) could rule the world. Political factions and scientists could and likely will concoct all sorts of reasoning for the disappearance of Christ’s people, and those left behind may believe it, but they’ll find no comfort in their words. But there’s good news! What’s the odds that He won’t? After all, the Bible says He will. So according to this mathematical and scientific equation, if Jesus had returned on Christmas day, what are the odds you’d be with Him and your Christian family members? Only you have that answer. But the truth of the matter is we don’t need a mathematics professor to figure out that you have 0% chance if you have not accepted Christ as your Savior. The Bible says in 1st Thessalonians 4:15-18 ~For this we say unto you by the word of the Lord, that we which are alive and remain unto the coming of the Lord shall not prevent them which are asleep. For the Lord himself shall descend from heaven with a shout, with the voice of the archangel, and with the trump of God: and the dead in Christ shall rise first: Then we which are alive and remain shall be caught up together with them in the clouds, to meet the Lord in the air: and so shall we ever be with the Lord. Wherefore comfort one another with these words. I love that the scripture says “comfort one another with these words.” There is great comfort, not fear, in knowing the love of Jesus; fear comes when you are without Him. So… the question is do you know Him? Mark Lowry wrote the words to a song titled “Mary Did You Know” in 1984 when his pastor asked him to write the program for the living Christmas tree choir presentation. I’ve heard the song again and again, and each time I have to wonder what it was like to be in Mary’s situation. A young woman, a child by our definition today, pregnant out of wedlock in the eyes of the world, carrying the Messiah in the eyes of God. My mind wonders to what the conversations would have been between her and Joseph those months of waiting for the birth of Jesus. As the child grew inside of Mary, they were afforded the time to get to know one another without intimacy. No doubt they both turned to God on multiple occasions and asked questions that may or may not have been answered. Why? How? When? It was a faith like we have never known, or have we? I’ve asked and answers have come, but not as I wished they would have. I wanted clearly defined resolution, but more often than not I got the absence of wonder. I didn’t get an answer, just the absence of anxiety or stress ~ Peace. I don’t think Mary could have possibly known what the future of that Baby Boy would be, but she knew that she was a part of it and for her that was enough. She thought on it, deeply, Luke 2:19 says ~ “But Mary kept all these things, and pondered them in her heart.” And so this morning I find myself pondering God’s purpose in my life as 2013 winds to a close and I’m asking God to open doors in 2014. His doors, not mine. I’m so very grateful for His knowledge that comes from within at the right time. If I don’t know something now, it means I’m not meant to know now. 2 Corinthians 4:6 ~ For God, who commanded the light to shine out of darkness, hath shined in our hearts, to give the light of the knowledge of the glory of God in the face of Jesus Christ. 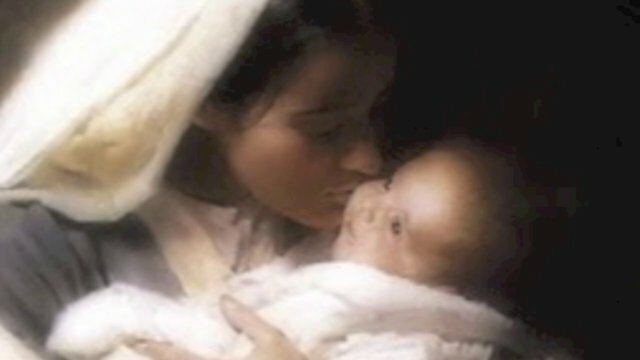 I believe when Mary stared into the face of baby Jesus, she knew all she needed to know. And although I desire to know more, I have to continue on believing that God will reveal His desires to me in His time, and if I continue to search for the answer to life’s questions in the face of God, in due time I’ll find them. Pass the *Songlasses, Winter’s on! Woohoo, that’ll put a shout on you if you compare it to what we celebrate on December 25th! That too was a day of more light, it was nothing seasonal but rather 365 days a year, 24 hours a day as a child of God and in 1996 my soul became filled with that Light and every year since it’s gotten sweeter than gumdrops, I’m still like a kid at Christmas. What joy it brings to my soul to call to remembrance the discovery of what the birth of Christ meant. There would be no Easter, no salvation, were it not for Christmas. Today is actually my oldest daughter’s birthday, but as a family we’re celebrating Christmas because of the multiple places my children have to go to celebrate with various families. And tonight as my children gather around the tree, as has been the tradition since that first season of “more light” in 1996, I’ll read the Christmas story. But to a new generation. Five little people will sit at my feet and basically wish I’d shut up so they can open their presents. But hopefully one day soon each will discover their own season of “more light,” because Noni (that’s me) shared with them the joy of that first Christmas day. Tears flood my soul today when I read Luke 2:11 – For unto you is born this day in the city of David a Saviour, which is Christ the Lord. My Savior. Born of a virgin in a lowly manger so that lowly me could live in His mansion someday. No wonder the angels sang Glory! It’s 7:00 am and I’m just now rousting myself up. Good grief! I spent yesterday from the wee hours of the morning until long after I should have been in bed, preparing gifts for Christmas, either shopping, stuffing or wrapping! Crazy! My house looks like Christmas exploded. I love giving gifts! I love to see the joy on the faces of those I love as they get something that their heart desired. I love it more when they didn’t even desire it and got it anyway. I’m a spoiled brat by my husband who at Christmas seems to make up for every dumb thing he did that got on my nerves the other 364 days of the year. I spend way too much, have a great many regrets and then ask God to forgive me. But then… He did set the example on giving. The difference is He has deeper pockets, His own permission, and wisdom that I don’t even come close to having! I know Christmas isn’t about the gifts, it’s about the Gift. That is wisdom I’m afforded and I’m so grateful this morning. I love the story of a six foot plus, “hoss of a man,” West Virginia Sheriff who was tougher than nails. He got saved several years ago shortly before Christmas and there were no gifts beneath his tree that year as there had been in prior years of being unsaved. But that year he bought a manger scene and lined all the characters under the tree. Then laid down prostrate in the floor and worshipped the King for the greatest gift he’d ever been given, peace on earth. That is a true story! Peace on earth for a Sheriff! What a novel idea. The Apostle Paul, who I guess was a Religious Sheriff of sorts in his day would have probably reacted to Christmas very much the same. He wrote to the Philippians in Philippians 4:9 ~ Those things, which ye have both learned, and received, and heard, and seen in me, do: and the God of peace shall be with you. Paul got peace because he knew of the inner turmoil that came from trying to live up to the expectations of religion and the world. It’s impossible! But with God there is nothing impossible and the change in him was apparent! That sounds confusing unless you’re saved, because we know that the world is a mess, there is no peace to be found but rather conflict and dissension on every side. Within the heart of a child of God is peace that passes all understanding. 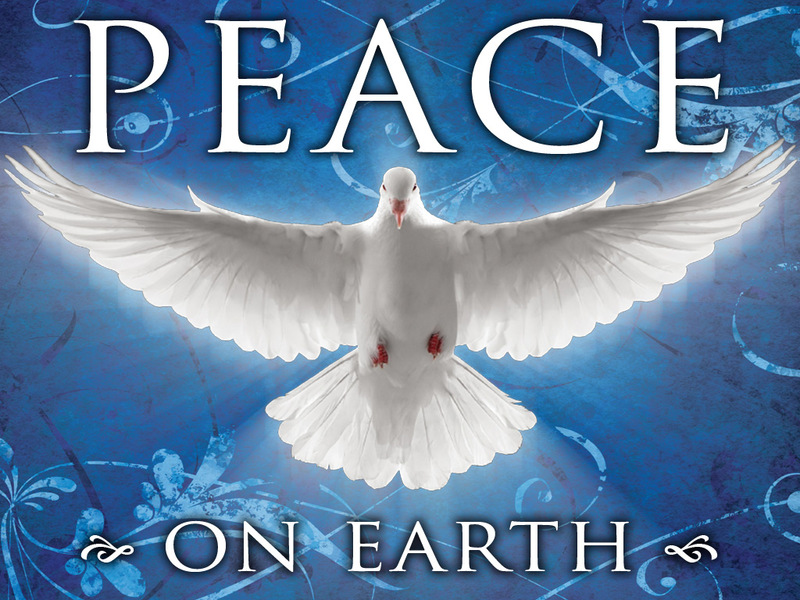 My prayer for you and your family is that the gift of peace reigns in your home this Christmas. Often time my writing begins before I’m out of bed in the morning. As soon as my eyes open thoughts begin to flood my mind, praise His Holy Name! when those thoughts are on His goodness, but other times, try as I might the world won’t seem to get out of the way; and when I do get up I’m staring at a blank page praying for guidance from the Holy Spirit. This morning I was not staring at a blank page, I was thinking about the blank page between the final Words in Malachi 4, verse 5-6 ~ Behold, I will send you Elijah the prophet before the coming of the great and dreadful day of the Lord: And he shall turn the heart of the fathers to the children, and the heart of the children to their fathers, lest I come and smite the earth with a curse. And the first Words in Matthew 1 ~ The book of the generation of Jesus Christ. 400 years separate those two pages. That’s a long time to look at a blank page and hear nothing from God. I panic if it’s just been a few days. But for generation after generation they sat in silence waiting, waiting, waiting… and then many of them missed it. He didn’t come as they thought He should, He came as He said He would. There’s a lesson in that for me this morning as I wait ~ I’m without excuse for direction. God’s presence is clearly felt in my life and I may choose to ignore it but I cannot say He is silent. Sometimes I think I mistake His silence for His patience with me. If I’d be still a little sooner, stop running day in and day out I’d hear, see, and experience the Lord in greater, deeper ways. Christmas season goes by me in a whirrrrrrrr! I just about miss it every year as I run to and fro, from event to event, meetings, rehearsals, shopping, dinners, all in celebration of what I’m missing. My page is not blank, it’s not read. But thinking back on those 400 years of silence, I’m not sure how they survived. Yes, I get caught up in the mundaneness of the day, but because of His faithfulness I still hear Him. He speaks to be in snippets throughout the day, He is so patient with me. So… what’s on our page today? For me I hope it’s a little more focused on Christ. As some of you have noticed my blogging has been sporadic this week… Too many irons in the fire. I can feel it spiritually as well. Time to get focused. Just 5 days until we celebrate the birth of Jesus and I want my heart ready! Maybe you could share with me how you’re preparing your heart this season… what has God written on your page today? Post it below! Can you hear the fatherly conversation “If I’ve told you once I’ve told you a hundred times, and if I have to tell you again, you’re gonna be sorry.” Paul’s getting ready to crack the whip on the Corinthian church, he’s had it up to his eyeballs with their naysaying and questioning of his leadership. Why I landed in II Corinthians 13 this morning I don’t know, but Paul’s attitude really caught my attention in these verses. You can feel his frustration! I loved it in verse 10 when he said “Therefore I write these things being absent, lest being present I should use sharpness, according to the power which the Lord hath given me to edification, and not to destruction.” I don’t know that loving that verse is appropriate. Paul writes this letter to them because if he they could actually hear how he feels it wouldn’t be good! I feel this Pastor’s frustration. Not that I’m a Pastor or have any desire to be, but I speak in general of his frustration with the church. Just as Paul did, I still have the utmost faith in the church because it is the instrument for which God is using to usher in the return of Christ. And at this present time my own home church is full of fire and it’s spring time in the village. It’s full of great people and awesome opportunities but I don’t want to be caught off guard if there’s a cold front coming in. It’s winter in the hearts of many in the world who have no desire to allow the Holy Spirit to lead a church; because if the Holy Spirit is in charge things heat up and there’s an expectation of right living and servitude. Jesus came into the world to seek that which was lost and before He left for Heaven He left orders that we were to do the same, under the direction of a Pastor. I guess maybe this scripture was pointed out to me by the Holy Spirit this morning because we are Pastorless, not leaderless, but without a Pastor. And God knows the burden on my heart to see the pulpit filled and my concern for God’s direction. I love being lead, else I’m a sheep wandering around in the field looking for a gate. No I’m not looking to leave, I’m looking for something to do. My heart breaks for church leaders who struggle to motivate their congregation. I want to come to their church and sit on the front row and be a cheerleader for Jesus. That’s kind of what I do at our church. I want to encourage God’s people! It’s not easy to try and live right (believe me when I say, I fail daily), but it’s a harsh reality when you see the cold nature of people toward “right living.” It’s almost as if a Preacher is meddling because there is an expectation that his people should follow Christ’s example. My message to you today is “Take care of your Pastor this Christmas.” It’s sometimes as cold in the church as it is in the world, and they can use your warmth. Spread God’s cheer this Christmas season beginning with the leadership of your church, it will be returned with rejoicing!